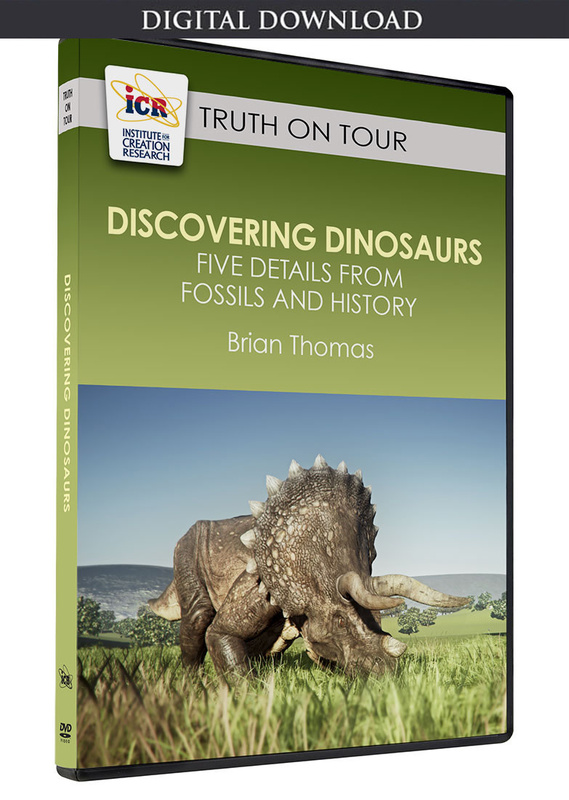 Scholarly illustrations, museum mock-ups, and even children’s cartoons show tyrannosaurs covered in feathers. Two new fossil descriptions give reasons to doubt the tales of feathered dinosaurs. 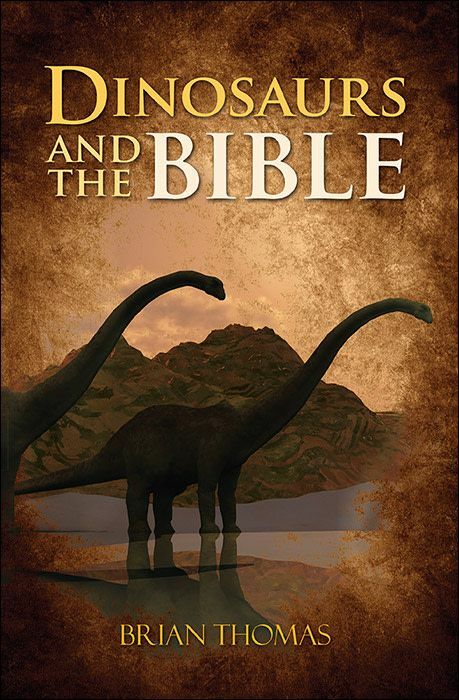 Perhaps God did create some creatures that we might call “dinosaurs” with feathers on their bodies—it’s hard to tell. After all, most of the fossils with bona fide feathers were definitely birds, and the questionable ones could also represent some strange, extinct, bird kinds. Other fossils including real dinosaurs have simple filaments that some call “feathers” but others say are decayed skin fragments. More observations from more fossils should help clear the confusion. One new find ties back to 2016 news headlines that reported dinosaur feathers captured in amber from China. Could any doubt remain that feathered dinosaurs really existed after news of an actual dinosaur feather? Well, yes, considering that the feather was not actually attached to a dinosaur. Also, many different fossil birds lie alongside dinosaur fossils.1 And since the only living creatures with feathers are birds, it stands to reason that these fossil feathers also came from birds. Now, scientists describe more feathers in amber found near that same 2016 find. But these feathers connect to a body, so we know for sure what kind of animal made them. It’s a bird, not a dinosaur.2 So, instead of supplying any fuel for the story that dinosaurs evolved into birds, this bird trapped in amber sticks a feather in the cap of the simple axiom: only birds grow feathers. In a separate report, paleontologists observed preserved skin patches from various tyrannosaur fossils.3 When combined, the patches represent almost every area of the mighty dinosaur’s body—its head, neck, back, and tail. 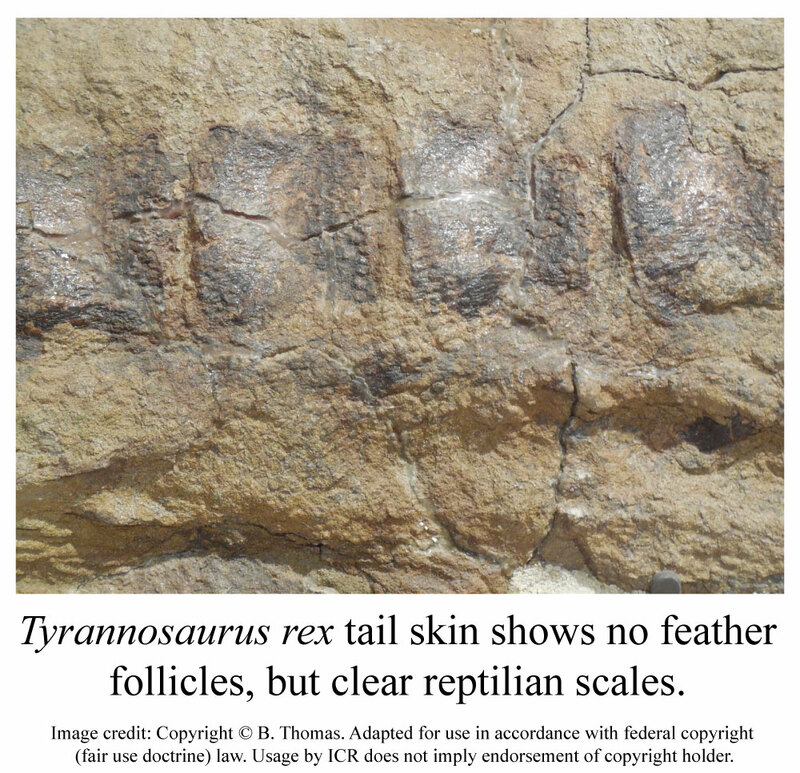 They found scaly, lizard-like patterns without feather follicles present in every case. If tyrannosaurs had feathers like so many displays and illustrations show, then why didn’t T. rex and its relatives have any follicles to anchor those feathers? Conflicting interpretations of fossil fibers and feathers, and conflicting name and group assignments of fossil forms confuse this otherwise exciting research. Now, bird feathers on a fossil bird show that last year’s much heralded “dinosaur feather” was probably just a bird feather. Plus the absence of feathers on almost all tyrannosaur body parts clashes with the widespread belief in a feathered T. rex. Both reports suggest the Genesis-friendly idea that God intended for the seed of each animal kind—whether categorized as a reptile, bird, or otherwise—to reproduce more of that kind, and only that kind. Sherwin, F. Another Feathered Dinosaur Tale. Creation Science Update. Posted on ICR.org December 10, 2016, accessed June 12, 2017. Xing, L. et al. 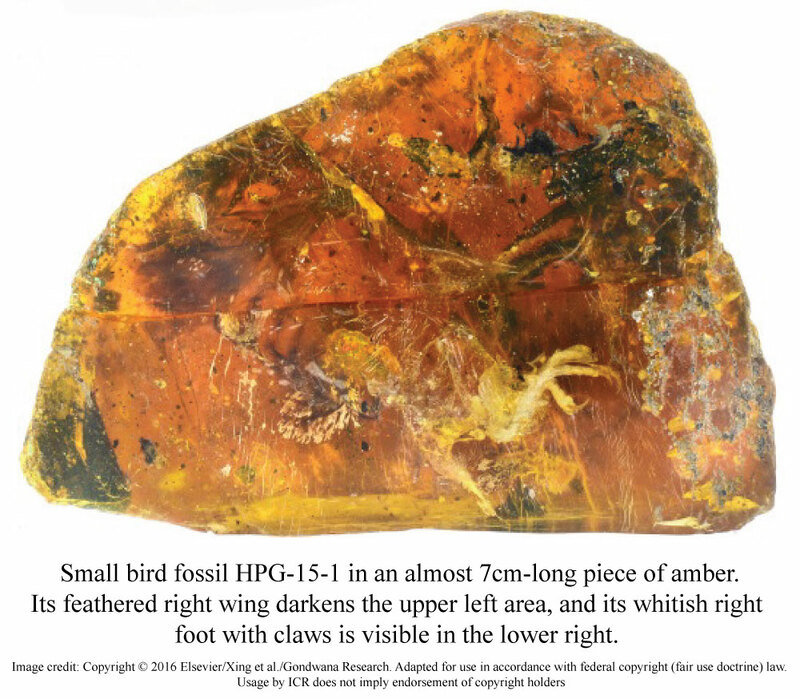 A mid-Cretaceous enantiornithine (Aves) hatchling preserved in Burmese amber with unusual plumage. Gondwana Research. Posted on sciencedirect.com June 6, 2017, accessed June 12, 2017. Bell, P. R. et al. 2017. Tyrannosauroid integument reveals conflicting patterns of gigantism and feather evolution. Biology Letters. 13 (6): 20170092. Article posted on June 15, 2017. Why Do Creatures in Ancient Amber Look So Modern?